Most patients who come to Carisbrook Dental to talk about cosmetic dentistry, usually want to improve the overall appearance of their teeth – and of course – their smile. Yet you know, time and time again, when we talk to them after their successful treatment, we discover that the true effects of their cosmetic dentists Manchester treatment has provided totally unexpected benefits (to them at least) that sometimes they themselves were not even fully aware of. Many patients who come to us have badly misshapen or misaligned teeth, so our first recommendation is to refer them to our orthodontics team who, thanks to their highly qualified experience and expertise, will be able to gently and skillfully manipulate their teeth into the correct position. By far the majority of cosmetic dentistry patients however, come to us because they want us to make their teeth whiter, brighter, more evenly shaped and well, simply more attractive. If you look at our Cosmetic Dentistry in Manchester page you can see the full range of treatments that we offer. Our Teeth Whitening Manchester page for instance, will explain to you all the different teeth whitening procedures that we can provide. These include home based as well as in-clinic treatments. Don’t forget that all these procedures, whether at home or in our clinic, are professionally and individually designed and managed to match the personal needs of each and every patient. On the cosmetic dentistry in Manchester page you can also read about white fillings to replace what many people now consider unsightly silver fillings. There is also information about porcelain veneers and even gum contouring and teeth reshaping if that is what is required to create that perfect smile you crave. 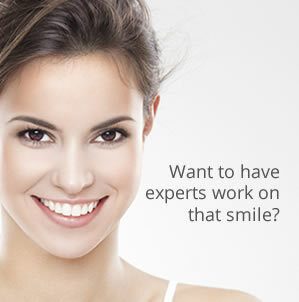 All of our cosmetic dentist Manchester patients say they are delighted with their new appearance, but you know what? In addition to the beautiful teeth and the sparkling smile, so many also tell us how it has totally transformed their outlook on life. Virtually everyone has told us that improving their teeth was the best decision they have made because it has given them so much extra confidence and made them immensely more outgoing. So much so that they have experienced real changes and benefits in both their social and business life. It’s not an exaggeration to say that they have become more successful. So take it from them, consulting cosmetic dentists Manchester will not only change your smile … it can change your life! If you would like to discuss any aspect of cosmetic dentistry then now is an ideal time to do it because for a limited period Carisbrook Dental are offering a Free Consultation. Give us a call on 0161 951 7295 or reach us via our contact page.